How To Remove Stains On Granite – The Connoisseur Carpet Cleaning blog. An absorbing medium to reabsorb the stain out of the stone. Acetone (MAKE SURE THERE ARE NO OPEN FLAMES OR PILOT LIGHTS IN KITCHEN, TURN OFF GAS IF NECESSARY) available at any hardware store, paint department) (not nail polish remover) is the most effective, however, there is also water, high-potency Hydrogen Peroxide (30 – 40 volume. The one available at your pharmacy won’t do it, at only 3.5 volume. Go to your beauty salon and ask for the clear type. ), ammonia, and dishwashing liquid, bleach. Mix your absorber and reactant to form a paste about the consistency of peanut butter. Apply the paste over the stain (approx. 1/2″ wider that the stain itself) leaving it a good 1/4″ thick or better. In the case of the paper-towel, just put the soaked “pillow” over the stain. In either case, cover the poultice with plastic wrap and tape it down (at this stage you don’t want the acetone or other reactant to evaporate. You want it to go down inside the stone to meet with staining agent and attack it). Leave it there for 24-48 hours then remove the plastic wrap. Next, let your poultice of choice dry out completely by removing the plastic wrap. This is a delicate stage of the process, you want the reactant to be reabsorbed into your absorbent. When completely dry, remove the poultice, rinse the area and let it dry, in most cases, you will see that the stain is gone. If not, repeat the procedure step by step again. With some stubborn and old grease stains you may have to do it a few times. 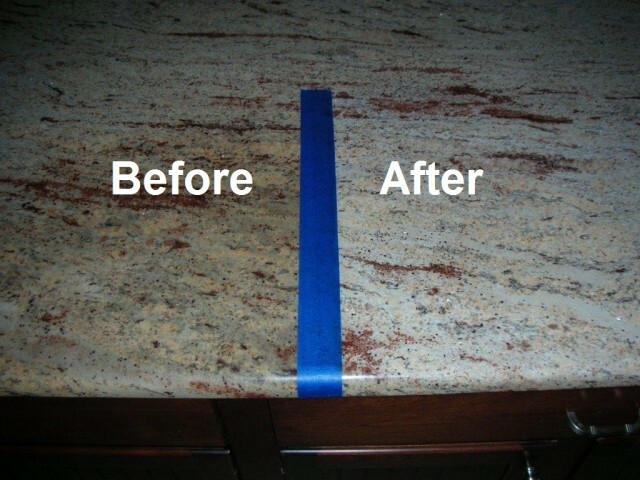 Once the stains are removed you should have a good-quality sealer for stone (Impregnator) applied to your countertop. 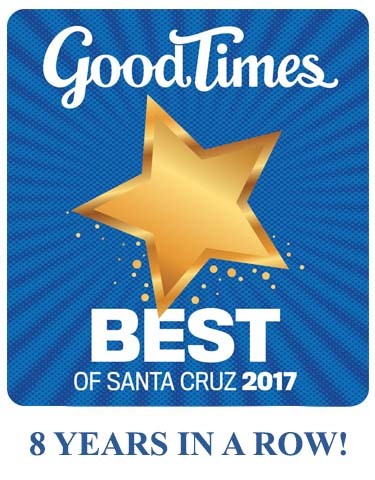 « Good Times “Best Of” winner for the 8th Year! » No Photoshop used..